Yep, that's right. 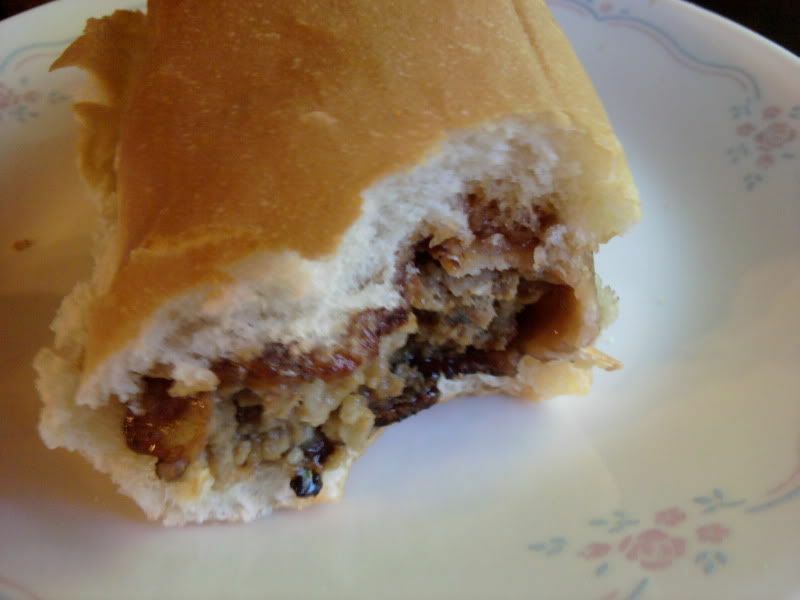 Barbecue sauce, bacon, and meatloaf all together to make a tasty, juicy sandwich fit for any meat lover. First, start off with your meatloaf. Any kind will do. 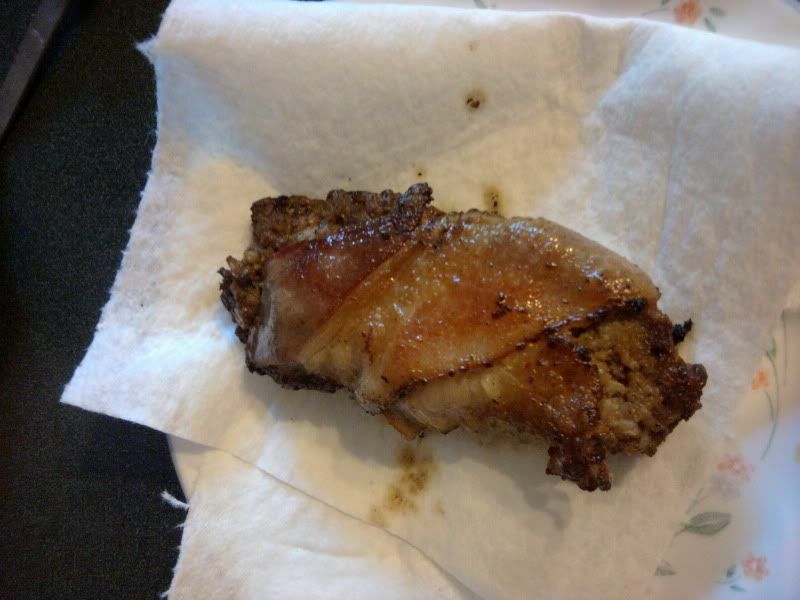 Cut off a nice inch-thick slice of the meatloaf. Then take a slice (or 2, or 3, it's bacon, the more the merrier!) 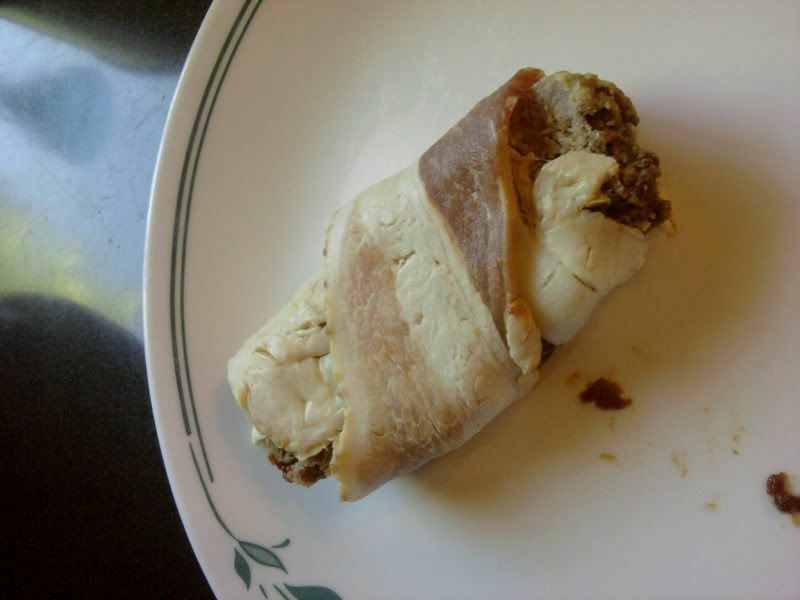 and wrap it around your meatloaf. I only used 1 slice of bacon. Do at least 2 slices, 1 was not enough bacon-y goodness. 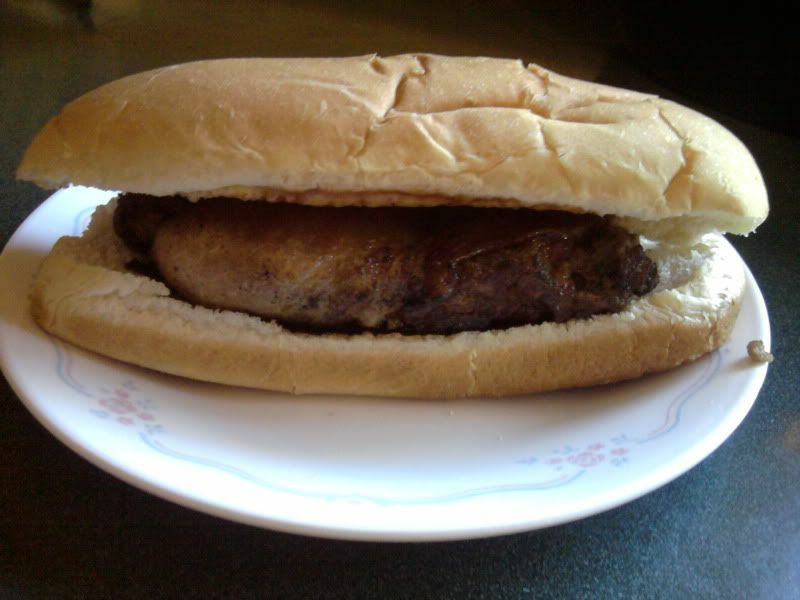 Now take your bun, a hot dog bun was about perfect size for mine but any kind will do, and put a generous drizzle of bbq sauce on both sides and place the juicy bacon meatloaf burger in. WOW…First time here…Reached here form my friends blog…I am going through your blog for a while and found that you have quite a few recipe…I really liked it…Following your blog striaght away..This recipe is mouth watering..Check out my blog too..